On today’s show, I had the pleasure of speaking with Shirin Peykar. Shirin is a Licensed Marriage & Family Therapist specializing in Young Adults (18-40), Women’s Issues, Mindful Parenting, Couples Therapy and Divorce. She is also the Founder of the “Let’s Talk Divorce” Support Group. Shirin was a go-getter from a very young age and put herself through college with aspirations for a career in psychology. Shortly after graduating, she fell in love, but the love she felt in return didn’t feel quite right. After her own personal experience in her high-conflict relationship and subsequent divorce, she’s decided to dedicate her career to helping others navigate the complex waters of emotional regulation and relationships. Our conversation navigates between our shared experiences with emotional abuse, what part each partner plays in a failed relationship, rebuilding our own self-confidence, and how to make the most of finding a way… or making a new one after a relationship doesn’t work out. Shirin now helps others build better relationships with others and themselves through her therapy practice. Shirin Peykar is a Licensed Marriage & Family Therapist specializing in Young Adults (18-40), Women’s Issues, Mindful Parenting, Couples Therapy, and Divorce. She is also the Founder of “Let’s Talk Divorce” Support Group. A graduate of the University of Southern California, Shirin has been practicing psychotherapy since 2009. She brings a unique sense of warmth, intuition, optimism, and collaboration to her therapy practice. She is active in sessions, and although she finds listening to be incredibly important, she’s known to highlight where clients are stuck and encourage their shifts in perception. She values & incorporates elements of Cognitive Behavioral Therapy, Psychodynamic Therapy, and Mindfulness to increase clients’ understanding and awareness of the obstacles impeding their way to living a healthy, happy life. Shirin has specialized training in RIE® Educaring for parents and caregivers of babies, toddlers, and beyond. In addition, she is trained in Gottman Couples Therapy. Shirin maintains professional memberships in the following organizations: California Association of Marriage and Family Therapists (CAMFT) Group Psychotherapy Association of Los Angeles (GPALA) RIE® Educaring. 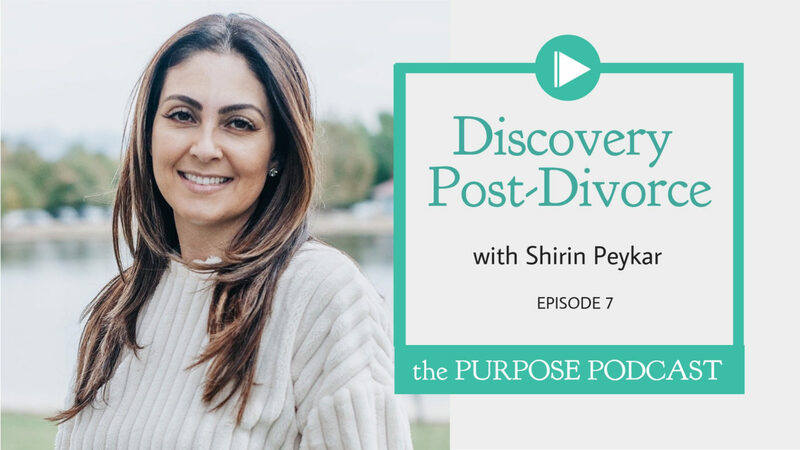 This entry was posted in The Purpose Podcast and tagged break-ups, business coach, corrie logiudice, couples, divorce, high-conflict, interview, life coach, love, podcast, self-confidence, Shirin Peykar, story, therapist, therapy.